Cabral, M. and Justice, S. (forthcoming, 2018). Digital and stuff: digital materials, people, and the relationship between them. In E. Garber, L. Hochtritt & M. Sharma (Eds.). Makers, crafters, educators: Working for cultural change. Routledge. Cabral, M. (2018). Fighting the Mad King: play, art, and adventure in an early childhood art studio. Christopher M. Schulte, Christine Marmé, & Thompson (Eds. ), Communities of Practice: Art, Play, and Aesthetics in Early Childhood (First, pp. 77–91). Springer. Cabral, M. (2016). Art makes us happy. Young children explore materials and ideas. Brooklyn, NY: PaperStar. Cabral, M. (2014). “We are those artist people!” Connectivity and Artistic Explorations in Early Childhood Education. In E. Lanphar & P. Filtzimmons (Eds. ), Connectivity across Borders, Boundaries and Bodies: International and Interdisciplinary perspectives (pp. 43–49). Oxfordshire, UK: Inter-Disciplinary Press. Cabral, M. (2014). Broken things can be beautiful things. Early Childhood Explorations in Play and Art. New York, NY: Vast Playground. Cabral, M. (s/d). “I could look at it forever!” Art at the Rita Gold Early Childhood Center. New York, NY: Art and Art Education Program, Teachers College Columbia University. Vasconcelos, Homem, Orey, & Cabral (2002). Educação de Infância em Portugal: Situação e Contextos numa perspectiva de promoção de equidade e combate à exclusão. Lisboa: Conselho Nacional de Educação. *Cabral, M. (2015). Story, not Gadget. 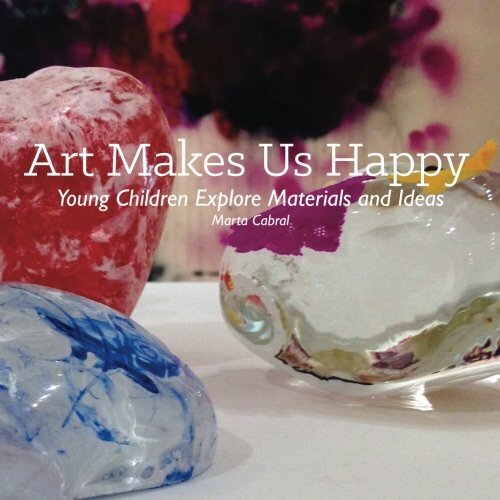 Digital Media as Art Materials and Curatorial Tools in Early Childhood Art Education. International Journal for Infonomics (IJI), 8(4), 1084-1090. Cabral, M. (2014). ’We are those artist people!’ Connectivity and Artistic Explorations in Early Childhood Education. In E. Lanphar & P. Filtzimmons (Eds. ), Connectivity across Borders, Boundaries and Bodies: International and Interdisciplinary perspectives (pp. 43-49). Oxfordshire, UK: Inter-Disciplinary Press. Cabral, M. (2015). "It's about inspiring fantasies: A review of George Szekely's Play and creativity in art teaching. International Journal of Education & the Arts, 16(Review1). Retrieved from http://www.ijea.org/v16r1/. *Cabral, M. and Phillips-Staley, E. (2015) Fingerpaints and masterpieces: Babies in the art museum. Book of Proceedings END Education Conference for Education and New Developments, Porto, Portugal June 27-29. Cabral, M. (2014, November). As 5 coisas de que eu mais gosto… em Nova Iorque. Fugas, Jornal Publico, November 8th, p.33. *Cabral, M. and Justice, S. (2013). Material learning: digital 3D with children. Paper presented at the meeting of FabLearn 2013. III Digital Fabrication in Education Conference, Stanford, CA, USA, October 27 - 28, 2013. *Cabral, M. (2012). Curriculum Models and Professional Identity in Education: Three Stories of Early Childhood Professionals. Literacy Information and Computer Education Journal (LICEJ). Volume 3, Issue 2. *Vasconcelos, Homem, Orey, & Cabral (2005). Um estudo de caso em quatro instituições. Educação de Infância e problemática da equidade. Revista Infância e Educação - Investigação e Praticas nº7 Novembro. Lisboa: GEDEI.